I have set myself a rather unusual challenge to raise funds for the Turkish wildlife charity DogaDernegi. After a recent wildlife holiday in southern and central Turkey, I fell in love with the country. The amazing biodiversity, awesome scenery and fantastic culture meant that it had a huge impact on my life. On return to the UK, I was devastated to learn that the Turkish government had sold off all the country’s waterways to private corporations. There are now over 2,000 dams being built and over 1,730 hydro-electric schemes planned. The impact this will cause is disastrous. Not only will the habitats of one of the most biodiverse countries in the Western Palearctic be damaged beyond repair, but many small communities are likely to be displaced, thus destroying these traditional micro-cultures. 185 out of 305 Key Biodiversity Areas are threatened from dams and HEPP’s and will effectively be destroyed. Additionally, Turkey holds five endemic mammals (mountains here are reported still to hold the Anatolian or Asia Minor Leopard Pantherapardustulliana), 52 endemic freshwater fish, 13 endemic reptiles and over 30 endemic plants. Populations of most of these species will almost certainly be damaged by the hydro-electric schemes and dams. When I heard about the disastrous situation in Turkey, I knew I had to do something to raise awareness and raise much-needed funds for the wildlife conservation organisation, DogaDernegi; so I hatched a rather unusual plan. I have commissioned some artists to design a montage of iconic Turkish birds (voted for by the readers of my blog); I then will have all of my right arm, shoulder and hand (and left arm, shoulder, hand) tattooed with this design. I know this is an unusual way to raise funds, but I believe the impact will be substantial. 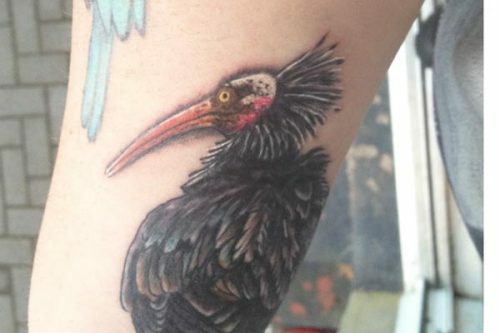 I will be so proud to have a permanent reminder of Turkey and the money I hope to raise for the protection of its biodiversity. 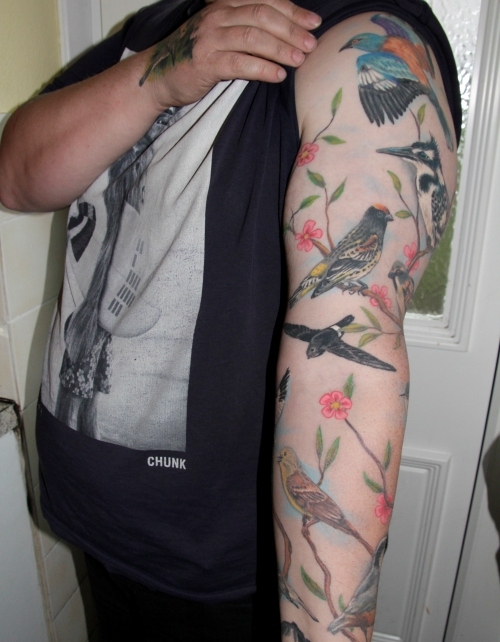 At the time of writing my left arm is almost complete with not ten, but eleven birds already tattooed! You can follow my progress here and via on Twitter @inkednaturalist. If you would like to sponsor me, you can visit the JustGiving online fundraising page; all money raised will go to BirdLife International who will transfer all donations to their partner in Turkey, DogaDernegi. If the funds raised exceed £10,000, I’ll have my whole torso tattooed! The chosen tattoo artist is the immensely skilled Richard Batey of Immortal Art Studio; he has agreed to donate £20 for every hour he works on my skin. 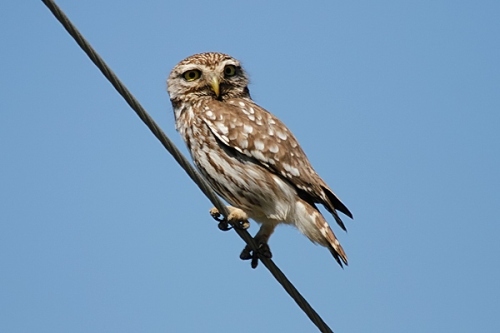 This entry was posted in Birds on June 4, 2012 by Paul Scraton.